It is clearly said in the Quran that the basic purpose of life is to worship Allah. There are different ways to worship Allah, but Salah is the most important. Prayer is the connection between ALLAH (SWT) and his servant. Muslims perform five daily prayers as it is an obligation. They are in a direct contact with ALLAH without the need of any intermediary at Muslim prayer times. Salah is an Arabic word, its basic meaning is praying or worship. Every Muslim has an obligation to perform five times prayers in a day. Through Salah, one can communicate directly with Allah Almighty. Additionally, it restrains the person from the bad habits and evil deeds. The Holy Prophet (S.A.W) also emphasizes the importance of prayers for the Muslims. In His Hadith, He mentions that the key to heaven is Salah. There are five basic pillars of Islam. They are Tawhid, Salah, Sawn (Fasting), Zakat and Hajj. So, being a Muslim Salah is an obligatory act. It includes five times prayers in a day. In the Quran and the Hadith, both greatly emphasize on offering prayers at the time. As there are five prayers in a day, Fajr, Duhur, Asar, Maghrib and Isha prayer. 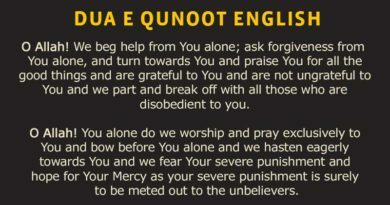 A Muslim has to perform these prayers daily at Islamic prayer times. Here, I tell you about the benefits and importance of these five prayers. The first prayer which starts with the day is Fajr Prayer. Actually, Fajr is the Arabic word which means dawn. As the time for this prayer starts with the beginning of dawn and remain till the sun rises. Praying at the beginning of the day, lighten up your day. It gives you positive energy and guidance. 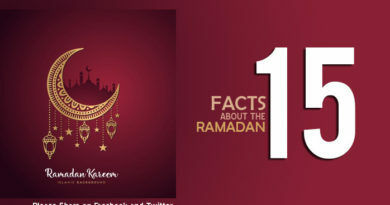 It includes 2 Rakat prayers which are Fard and 2 Rakats Sunnah. It is challenging to wake up early in the morning for prayer, but early prayer is obligatory for all the Muslims. These are some benefits of Fajr prayer. As, if you start your day with prayers, then Allah protects you all the day. In the Hadith, it is clearly said that whoever offers the Fajr prayers, Allah will protect him throughout the day. So, try to offer Fajr prayers to seek the protection and blessings of Allah Almighty throughout the day. Early in the morning, angels come down to witness the Muslims who are offering Fajr prayers. So, it is important to offer the Fajr prayer. Allah Almighty sent these angels, so try to offer prayers daily. It is important to offer Fajr prayer as it saves from the hell. In the Hadith, it is mentioned that whoever offer prayers before the rising of the sun will not enter the Hell. It enhances the importance of Fajr prayers. So, try to offer Fajr prayers daily, it has great benefits for you. In this life, Allah will protect you all the day and also saves you from the Hell. If you miss the prayers early in the morning, your whole day will spoil. As you have missed the blessings of Allah at the start of the day. In the early morning, you earn the displeasure of Allah Almighty by missing the prayer. Allah will remove you from the list of pious people. After the first prayer, Muslims perform their second prayer which is Zuhr(Dhuhr). It’s time starts when the sun declines towards the west from the middle of the sky. It is important to offer your prayers at the time. In the Quran and Hadith, there are so many warnings for missing or delaying prayers. Dhuhr prayers comprise of 4 Rakats of Sunnah, then 4 Rakat Farz prayer and 2 Rakat Sunnah and 2 Rakat Nafl is also included in Zuhr prayer. All the prayers have benefits for Muslims. These are some benefits of Zuhr prayer. All the Muslims want heaven and this is the time when the gates of Heaven are opened for the Muslims. In the Hadith, it is clearly said that during the Zuhr hour, the gates of heaven are opened. So, it is important to do good deeds at this time. And offering Salah is the most important at that time. Allah Almighty showers His blessings on you if you offer Zuhr prayers at the time. Your whole day fulfills with the blessings of Allah. If you offer Zuhr prayer, Allah will shield you against the fire of the Hell on the day of judgment. Allah will displease from you. And it is the worst thing for every Muslim. Allah will punish you in the grave and this will destroy you on the day of judgment. You probably will have no reward for any other good deeds, you have done in the life, as such. After the Zuhr prayers, Muslims perform Asar prayers. It’s time that starts in the afternoon. It is the third obligatory prayer. This prayer comprises of 4 Rakat Sunnah before offering 4 Rakat Fard prayer. There are many Ahadeeth, which explain the importance and benefits of Asar prayers. Some of the benefits are following. Yes, in the Hadith it is clearly said that whoever offers the Fajr and Asar prayers enters the Jannah. This is one of the greatest blessings for every Muslim. As Hell is a place where no Muslim want to go. So, this prayer saves you from the Hell and opens the door of Jannah for you. Allah will give you success in life as well as in the hereafter. These are the some of the consequences of missing the Asar prayers. Asar prayer is very important, so try not to delay or miss the prayers intentionally . If you miss the Asar prayers, it will null or void all the good deeds of the day. In the Hadith, the Holy Prophet (S.A.W) emphasized not to miss the Asar prayer. Asar prayer is important for your health and family. If you miss the Asar prayers, Allah will take away or robbed all your wealth. To increase your wealth, it is important to offer Asar prayers regularly. The time for Maghrib prayer starts with the sunset. The time of prayers differs in the world. When the sun sets, time of Maghrib prayers starts. Fard Rakats are obligatory for every Muslim. While Sunnah is mandatory for Muslims. If you do not offer prayers, Allah will punish you on the day of judgment. Some of the benefits of Maghrib prayers are as follows. Allah showers all His blessings and rewards on you when you offer prayers. Allah will fulfill all your Dua’s and wishes. Allah will give you success in wealth and family. Allah will punish you in this world and also in the hereafter. Allah will take away all His blessings from you. Your Dua’s are not fulfilled. At the time of death, Allah will disgrace the person who does not perform his prayers. The last prayer of the day is Isha prayer. It’s time starts when the time of Maghrib prayer ends and remains until the midnight. 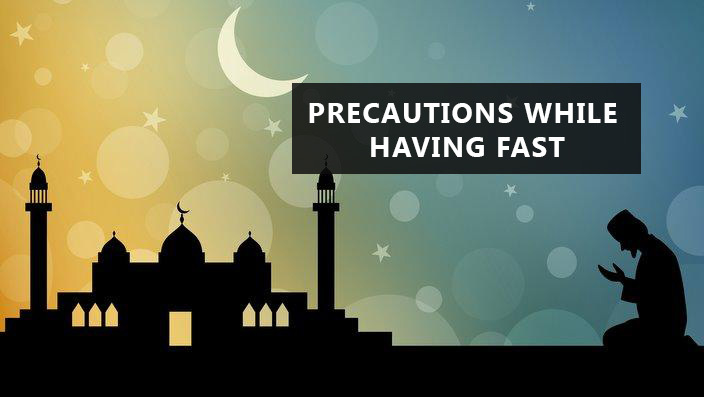 The Holy Prophet (S.A.W) in His Hadiths also emphasized the importance of praying at night. It includes 4 Rakats Fard , 4 Rakat Sunnah, 2 Rakat Sunnah, 2 Rakat Nafl and 3 Witr. If you offer this prayer, Allah will reward you that you worship Allah for half night. It is a great blessing for you. So, make sure that you never miss the Isha prayers. Try to make more dua’s after the prayers, Allah will listen your dua’s and will shower His blessings on you. As it is the last prayer of the day, if you offer your prayer before sleep, you have more peaceful night. So, try to offer your prayers regularly. All the good deeds you have done throughout the day became useless if you miss the prayers. As Salah is the basic pillar of Islam. For the peaceful sleep, it is important to offer your prayers before sleep. If you miss the prayers at night, you will miss the blessings of Allah throughout the night. If you miss the Salah, Allah will punish you in this life as well as in grave and also in the hereafter. Salah is the second important pillar of Islam. Every Muslim has to perform Salah five times a day. Each prayer is equally important. Try to offer your prayers at the time. Delay in prayers is prohibited in Islam. Just offers five times a day and enjoys the great blessings of Allah. If you want the blessings of Allah in this life and also on the day of judgment. Just offers your prayers regularly. Allah will shower all His blessings on you. Thank you brother, kindly share it on your social media with friends and family. jazakAllah. Thank you kindly share our blog on Facebook.